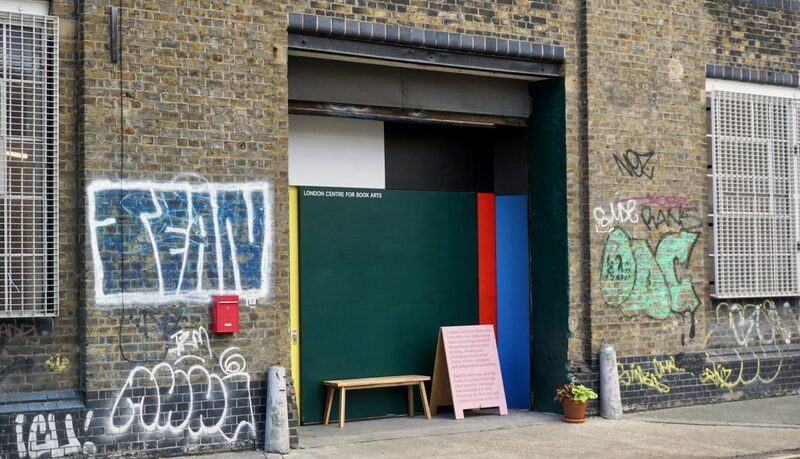 Based in what was once the heart of London’s print industry, the London Centre for Book Arts (LCBA) is an artist-run, open-access studio offering education programmes for the community and affordable access to resources for artists and designers. After several years of planning and acquiring hard-to-find equipment and machinery, the studio was established in October 2012, becoming the first and only centre of its kind in the country. LCBA was founded and is run by artists Simon Goode and Ira Yonemura. Website by Platform. For press inquiries please contact Arts PR London. The studio and shop are open to visitors during opening hours. You do not need to book an appointment to visit, but please email us in advance if you wish to discuss a specific project. Workshops at the London Centre for Book Arts are a way for people with no prior experience to learn new skills from artists and specialists in an active studio environment. Our workshops range from traditional bookbinding and printmaking to contemporary publishing practices and print technologies. Since October 2012, we have run more than 400 classes and workshops for over 4,000 members of the public at our studio in Britannia Works. We also regularly run bespoke workshops for UK-based and international organisations, businesses and Universities. Please get in touch if you are interested in our services. By train: The nearest stations are Hackney Wick Overground (15-minute walk), and Pudding Mill Lane DLR (15-minute walk). Bow Road Underground is a 22-minute walk, and Stratford Rail, Underground and DLR is a 23-minute walk through Queen Elizabeth Olympic Park. By bike: The studio is easy to get to by bike. It is located on the east side of Victoria Park, near to the canal at Old Ford Lock. The Greenway cycle route is next to the studio. The nearest TfL Cycle Hire docking station is two streets away on Monier Road. By road: The A12 (Old Ford, B142 exit) is nearby. The roads in and around Fish Island are a pay-and-display controlled parking zone Monday–Saturday, 8:30am–7:30pm. There is a car park at St Marks Gate, off Cadogan Terrace, which is a five-minute walk away.